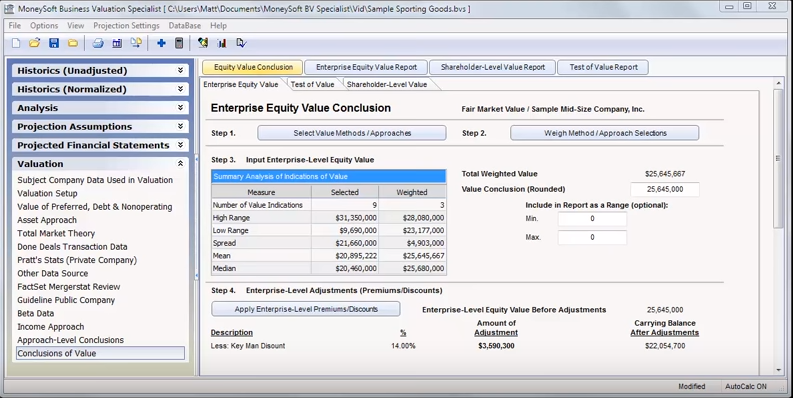 MoneySoft offers analytical tools for businesses, one of them being the Business Valuation Specialist software. It allows the user to choose the methods and approaches they want to include and choose appropriate weights for each method according to their needs. There are several methods that can be chosen from asset, income and market approaches. 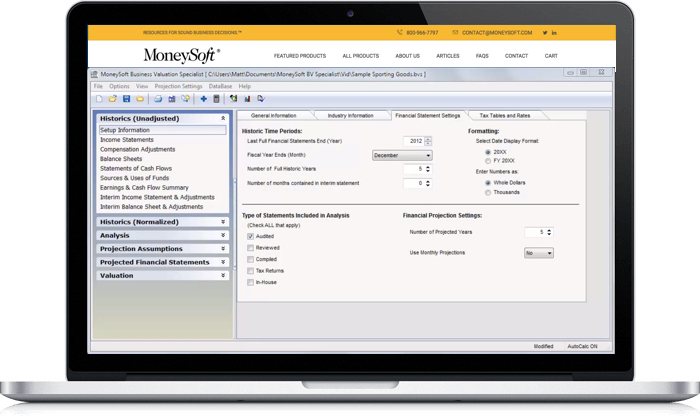 According to the MoneySoft website, the asset approaches include net asset value and liquidation value and income approach includes capitalization of earnings, capitalization of excess earnings and multiple of discretionary earnings as well as DCF. 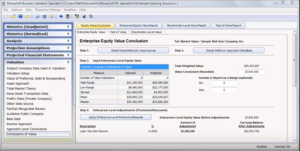 Market approaches include price multiples from sales of comparable businesses in several different databases. In addition to the figures mentioned above, the report includes detailed income statements, balance sheet and statements of cash flows, including projected cash flows. Also some ratios, common-size financial statements and industry comparisons are calculated. 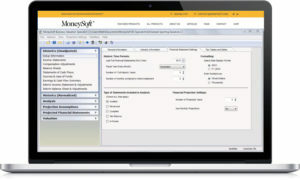 You can also find the MoneySoft sample report. The company does not offer any kind of free demo, so it is difficult for the customer to estimate the usefulness of the software prior to making the purchase. There is one video tutorial, which unfortunately gives limited information on the system. However, the company does provide consultation and training for using the software. They offer free customer support via different platforms for those with the latest version of the software.